Ever since Nokia joined team Microsoft, all has not been well with the Finnish company. Now in a widely anticipated but no less remarkable announcement, the company has laid out plans to fire 4,000 workers at its various offices around the world. Most of the workers getting let go will come from the company&apos;s Research and Development division. Since Microsoft has struck a deal to provide most of the R&D support for Nokia, the company&apos;s own researchers have been deemed obsolete. Symbian, Nokia&apos;s once prevalent mobile operating system, is also getting shown the door, with its assets and development team (another 3,000 workers) being passed on to Accenture. 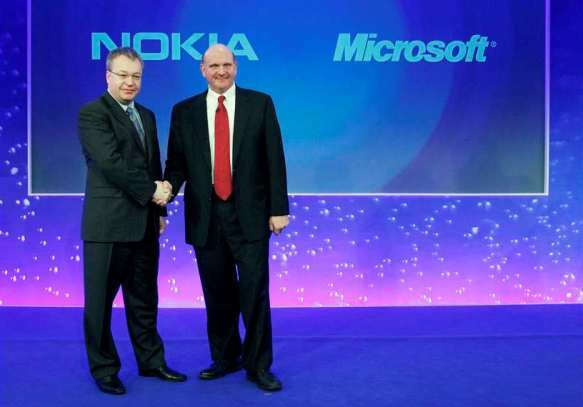 A new Nokia, powered by Windows Phone 7, is expected to emerge in late 2011 or early 2012. Both companies badly need for it to succeed-- the stakes couldn&apos;t be more clear.